Filmmaker Alfonso Cuaron has launched a multi-platform campaign called Mexico Rises, to provide relief to communities in Mexico impacted by the massive September 19earthquake. Reportedly, the Oscar-winning director's production company, Esperanto Filmoj, has backed the funds. "The devastating earthquakes in Mexico have elicited a deeply moving response from the Mexican people. In the history of our community, we have never been so informed, united, and connected as we are right now. "Citizens have taken this matter into their own hands and have selflessly and tirelessly worked together to come to the aid of their neighbours. 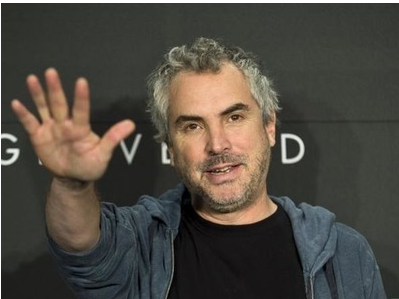 Following their inspiring lead, I'm compelled to take action and join them to help begin the reconstruction of our beautiful country as it starts to recover from these tragic events," Cuaron said in a statement.